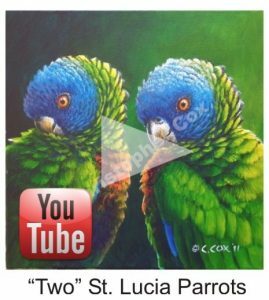 I am privileged to be among the few recognized wildlife artists from the Caribbean. 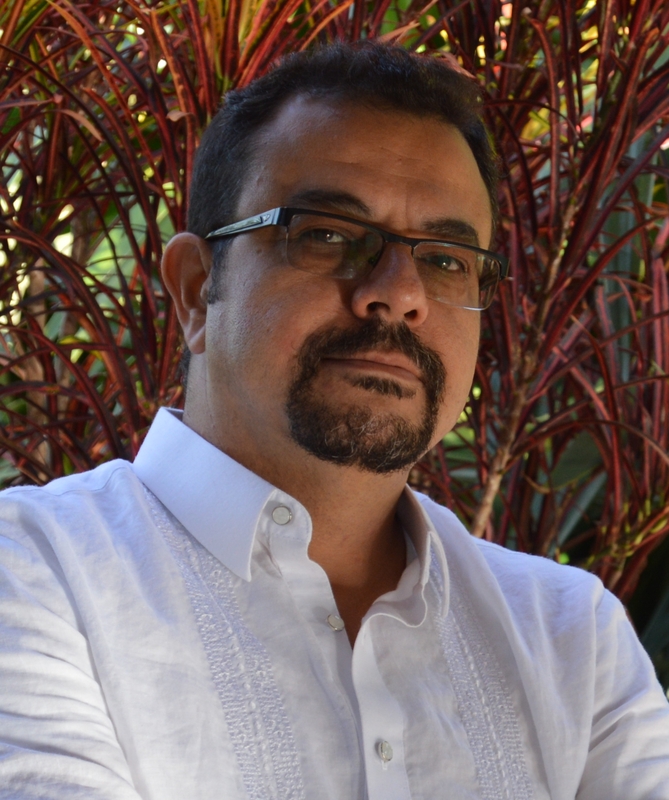 I have opened up new horizons beyond the Caribbean, having relocated to Nairobi, Kenya in 2014 as I continue my professional career with UN Environment (UNEP). I was born in Toronto, Canada, the eldest of three children, to a St. Lucian father and Jamaican mother. I grew up on the beautiful island Saint Lucia, one of the ‘gems’ of the Eastern Caribbean. 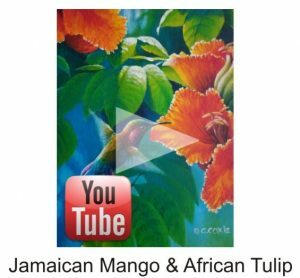 I always had a knack for drawing, an interest cultivated through my secondary school years, where I was tutored in art by Luigi St. Omer, son of famed St. Lucian artist, the late Sir Dustan St. Omer. Following school I went on to work with the St. Lucia Forestry Division and have remained in the environmental field in my professional career. 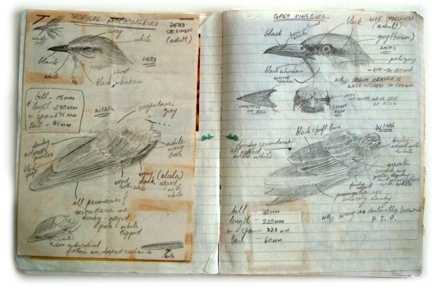 It was from my early days with the Forestry Department (mid-1980s) my love for wildlife and environmental art became inseparable from my career (read more under my professional profile). I have worked mostly in watercolour and acrylic, having more recently switched to oils. I have been known for my realistic interpretations of Caribbean flora and fauna; and now in East Africa, I am extending my creative reach into the vast and spectacular Africa-scapes, drawing inspiration from wildlife artists, the likes of Robert Bateman, Don Eckelberry, John James Audubon and impressionists Claude Monet and Vincent Van Gogh. My art collective ‘Chris Cox Originals’, includes a range of products inspired from my art such as limited edition prints, t-shirts and other collectibles. View of Castries harbour from my home studio, at LaToc. 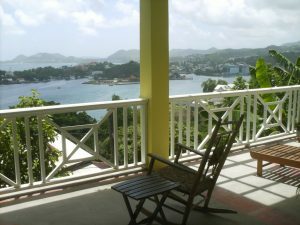 Back in St. Lucia my studio is at home, located on the breezy LaToc hillside, overlooking the magnificent and picturesque Castries Harbour and Vigie Peninsula, northward to Pigeon Island and the French island of Martinique. Now in Kenya, my studio no longer has the commanding view of the ocean…it is a garden view through a rather a large window featuring a large heliconia clump that is frequented by beautiful sunbirds (helconias are mostly native to the Americas and are visited by hummingbirds; here in Africa the sunbirds seem to have adapted to them quite well). Over the years much of my work has been in acrylic and watercolour although more recently I have been working in oils. My compositions are often created a melee of mental impressions; the fleeting shimmer of a hummingbird at a heliconia set against the sunlit-dappled forest understorey, the small detail in the gleam of moisture on the tips of a bromeliad perched on a lichen covered ancient branch, or the play of afternoon sunlight on the back of a bird on wing. 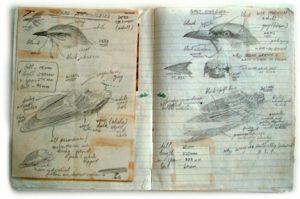 I use a collection of field notes, sketches, photos and reference material to lend realism to the subjects and the environment within which they live. All about, and creating Chris Cox Originals….watch!! Wonderful Chris! I am amased on how you are able to balance your passion with the hectic schedule here! You are doing great things. Keep on my dear friend. Thanks so much Birguy! The art does provide a means of escape from the hustle. As always thanks for your continued support (and guidance)!